Gerald Swindle is home recovering from a major health scare that could have cost him his leg, or worse. After undergoing arthroscopic surgery on his right knee on Sept. 26, Swindle suffered compartment syndrome in his thigh and　needed an emergency fasciotomy. He had three more surgeries over the past week, including one Monday that allowed him to go home that night. LeAnn said his knee issues began during the Bassmaster Elite season after they went on a run. He complained of discomfort, and in June, he had to have fluid drained from the knee and a cortisone shot. He had another episode with fluid in his shin and foot. Although they have yet to see the wound, they most likely won’t be providing the answer to a Facebook post asking fans to guess how many stitches he would need. 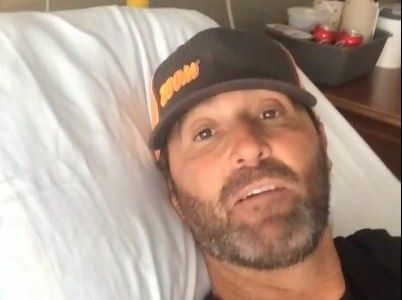 Gerald did post a couple humorous videos from his hospital bed, but LeAnn said that was during pain-free moments.